LEGO country flags were a cool item that TLG once produced, especially the early (1957-72) wavy country flags (printed and embossed). From 1973 to 1979 TLG also made straight stickered flags. Sadly TLG no longer makes country flags... just cartoonish fantasy flags for Pirates, Castle and other themes. 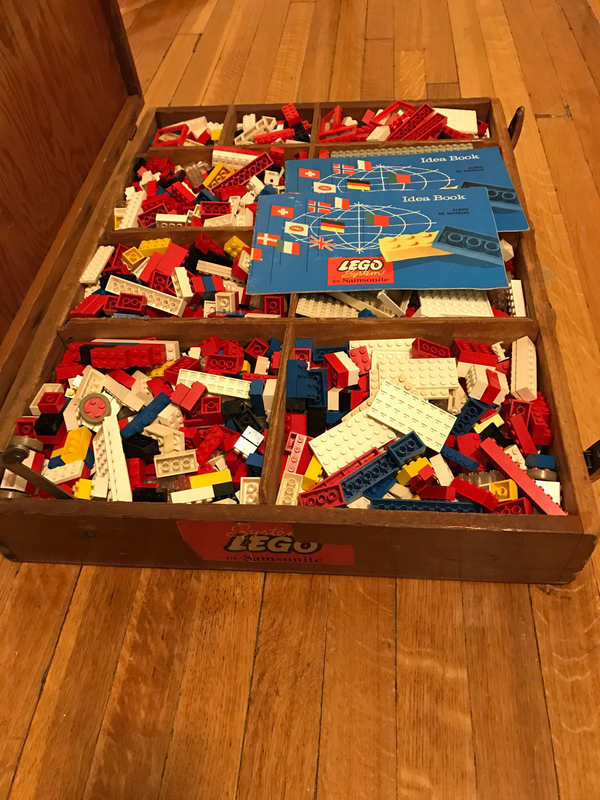 Chapter 47 - LEGO Town Accessories - of my Unofficial LEGO Sets/Parts Collectors Guide talks at length about all the common and rare country flags from 1957 (introduction) until 1982 (last production). 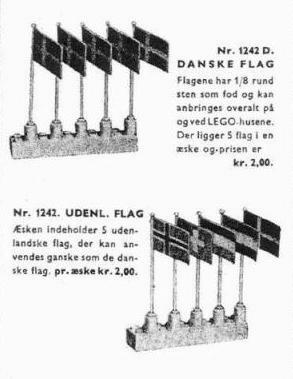 LEGO Country flags were first introduced in fall 1957, when a Danish retailer announcement mentioned them for the first time... they later started appearing in all European 1958 LEGO catalogs. There were 15 different country flags (and the LEGO flag) introduced in 1957... by 1958 one of these was retired, and in 1959 the flag of Finland became the new 15th country flag. Here is also an image of all 15 country flags from the 1960 introduced 238 Building Idea Book No. 1. The 15th flag introduced in 1957 appears to have been the Luxemburg flag... similar to the darker colored Dutch flag... and some folks think this could have been a Dutch flag in error. But if it were a Dutch flag in error... it would have been a double error... inverted colors... and the colors were too light. But if it were an error Luxemburg flag, then the colors were correct... but the flag had the colors inverted (blue should have been on the bottom, red should have been on top). The 2nd image shows a 1957-58 1242 Flags Parts Pack with 5 flags (top to bottom)... Norwegian, Swedish, Luxemburg error, Swiss, Dutch. The color difference between the Luxemburg error flag and Dutch flag is very apparent here. I think that after the TLG folks caught the error... that they just decided to eliminate a Luxemburg flag, and put the error flags in inventory out into parts pack sets until the supply was exhausted. Although these flags are rare... they are not VERY rare... since the entire inventory was put into production. 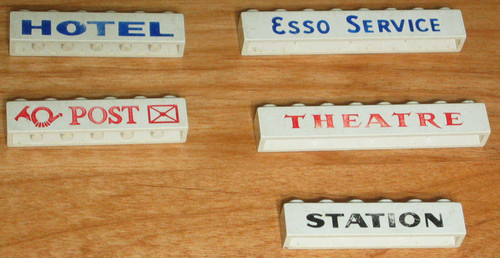 LEGO came to the UK in 1960, and the USA in 1961. However both countries were represented with LEGO country flags since the beginning in 1957. 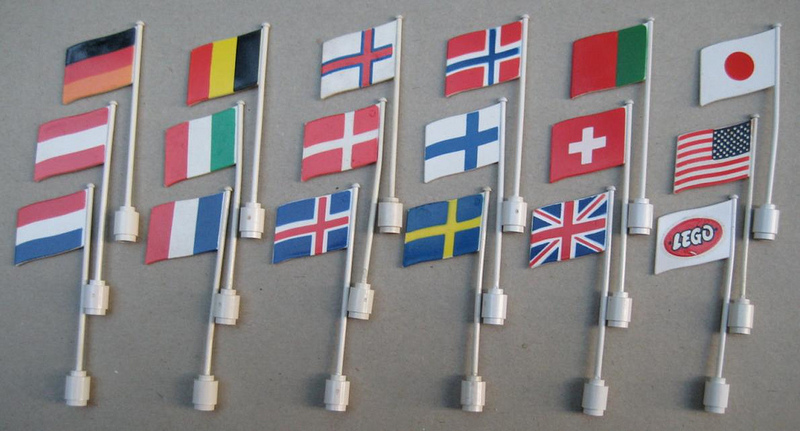 The other LEGO country flags were Germany, Austria, Switzerland, Italy, France, Portugal, Belgium, Netherlands, Denmark, Norway, Sweden and Iceland, with Finland flags coming online when that country started LEGO sales in 1959. Ireland came online to LEGO sales in 1960 and Canada in 1962.... however getting a country flag must have been a low priority for TLG. A country flag didn't happen for Ireland until the stickered straight flags of 1973, and for Canada it was 1969 for a wavy flag. Although Australia and Japan started LEGO sales in 1962... both countries waited until 1966 (tapered base flags) for an Australian and Japanese flag to be introduced. The Australian flag was only produced for Britain, Ireland and Australia... and the Japanese flag was only produced for Japan... and in very limited numbers in continental Europe. With the introduction of the tapered base flags in 1966... another flag was introduced (while the Irish and Canadian flags were still in limbo).... the flag of the Faroe Islands. The Faroe Islands were a remote archipelago of islands in the North Sea located between Norway, Iceland and Scotland. These islands were a dependency of Denmark... and so Denmark produced a very limited quantity of Faroe Island flags... only found in flag spare parts packs of the 35,000 population isles. These flags are so rare, that only 2 are known to me. You should be writing articles for the front page. I hate to see all the work you do get buried in the forums. Thanks all! These items can all be found in my collectors guide (which I'm offering some rare freebies for today only in Brickset Marketplace!). From 1912 (when New Mexico and Arizona became the 47th and 48th states)... until 1959 the USA flag had 48 stars... 6 rows of 8 stars. Then in Jan. 1959 Alaska became our 49th state, and the arrangement of stars on the USA flag underwent its' first change in nearly half a century. The flag was immediately changed to 49 stars in a new star configuration. Then in Sept. 1959 Hawaii became our 50th state. However... because so many 49 star flags were produced for circulation (they apparently were all later shipped to Alaska for their use still today!)... 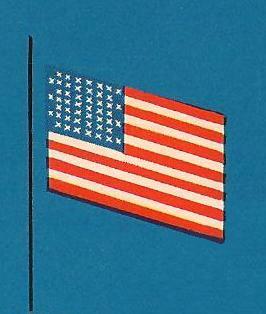 the 50th star addition to the USA flag was delayed until July 4, 1960 (about 9 months). 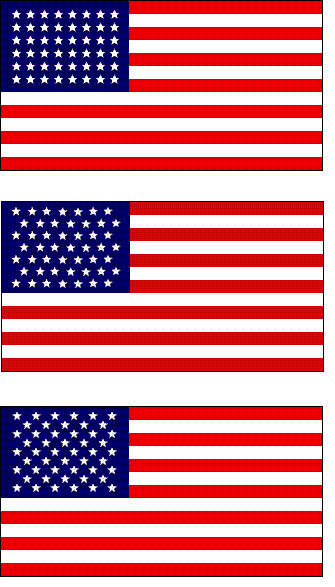 So when the LEGO flags were introduced in 1957... the USA flag would have had a 48 star configuration. The big question is this.... are there any 49 star USA LEGO flags?? I've not seen any... but then again... I've not actually owned more than 1 USA LEGO flag... and any 48 and 49 star USA LEGO flag would have only circulated in Europe. 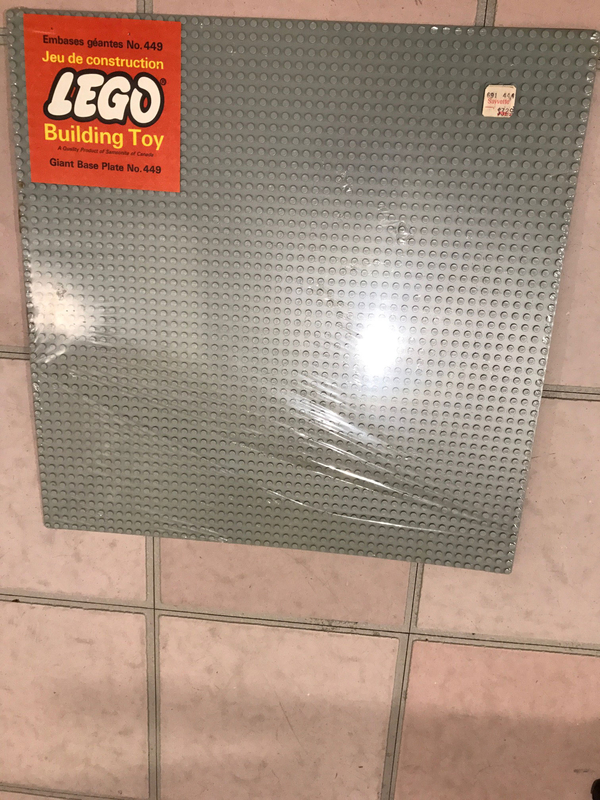 So the existence of a confirmed 49 star USA LEGO flag is still up in the air. But one thing is certain... TLG was aware of the changes in the American flag. All of this and more on LEGO country flags can be found in my collectors guide (in Marketplace! ;-) ). More to come... Canada and Ireland flags... they get little respect from TLG!! 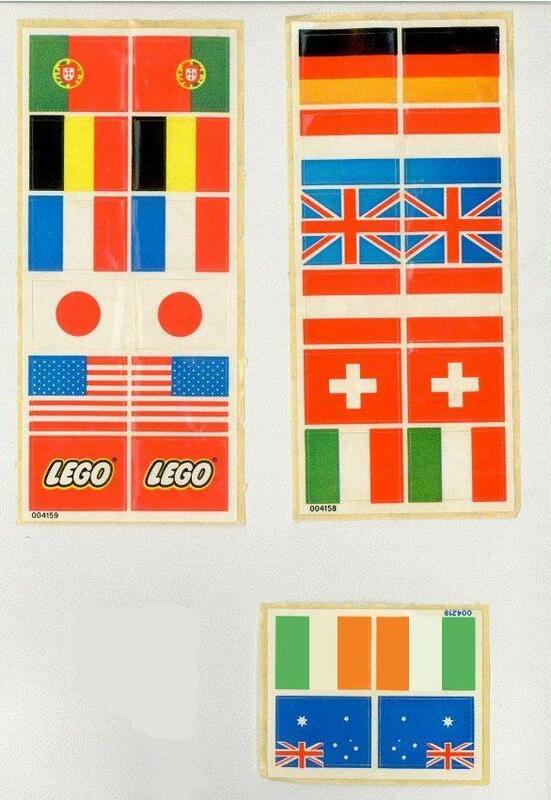 OK.... boy did Ireland get no respect when it comes to LEGO flags... the only Irish LEGO flags were from 1973-79 when the 939 Flag/Road Signs/Trees spare parts pack was introduced. 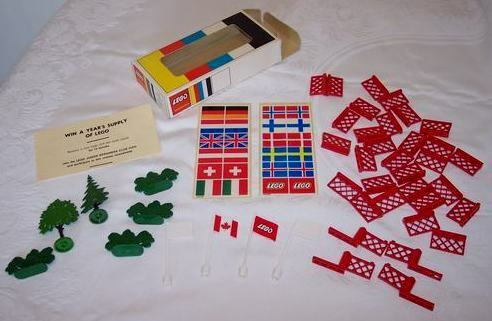 In the UK, Ireland and Australia... British LEGO Ltd. included a separate sticker sheet with the Australian and Irish flags in that parts box. This was the only time that an Irish flag was ever produced by TLG. As I already mentioned about the Japanese flag... it was produced in a wavy design and sold in Japan in a spare parts pack from 1966-69. 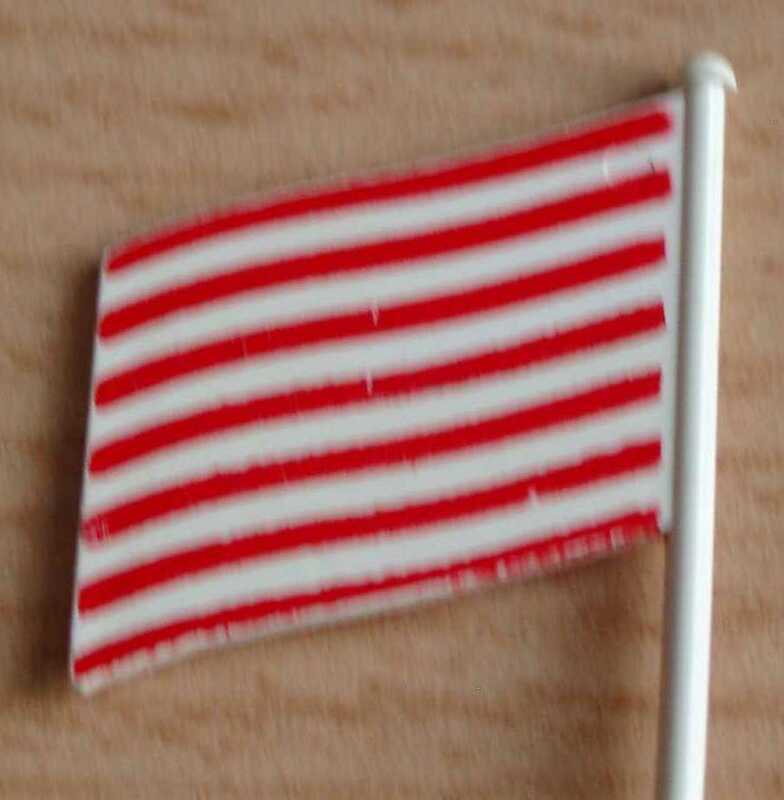 The Japanese wavy flag was also found in very limited quantities in continental European spare parts packs of 1966-69, and is considered rare today. From 1973-79 the Japanese flag sticker was included in all 939 sets sold in continental Europe (except for Scandinavia, where the 940 parts pack sticker sheets didn't have it)... and Britain, Ireland and Australia. So the stickered Japanese flag is not rare. 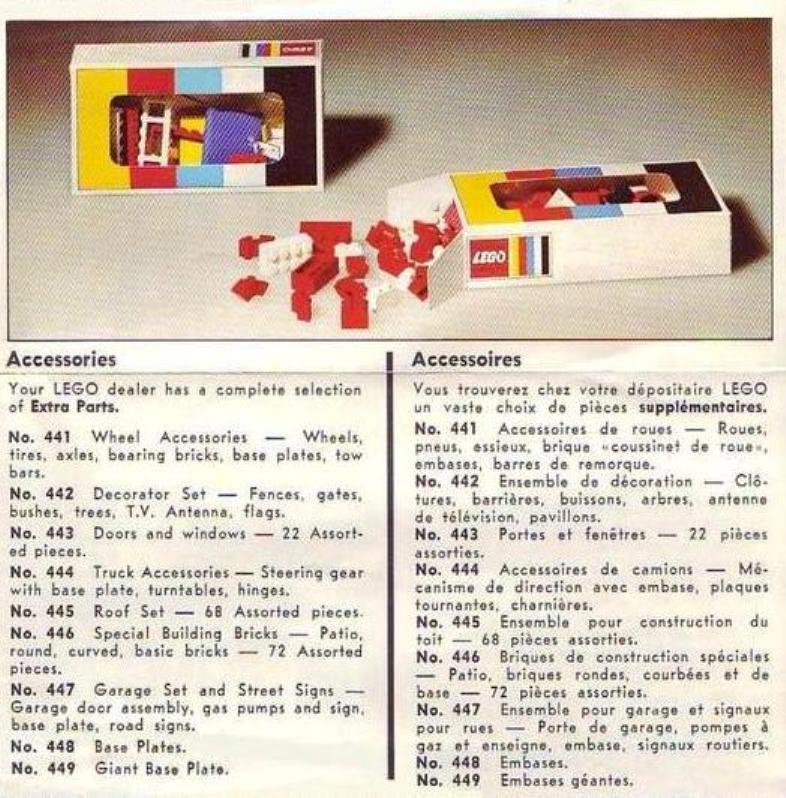 No Canadian flags were found in any LEGO parts pack until 1969, when the Canada only 442 Decorator Set (parts pack) was introduced until 1973. This pack came with 2 wavy flags, a Canadian (with a stronger ridged pole) and a LEGO flag (also with a ridged pole). This rare Canadian set did not have a wide distribution, making the wavy Canadian flag very rare and highly collectible (only the Faroe Island flag is more valuable). 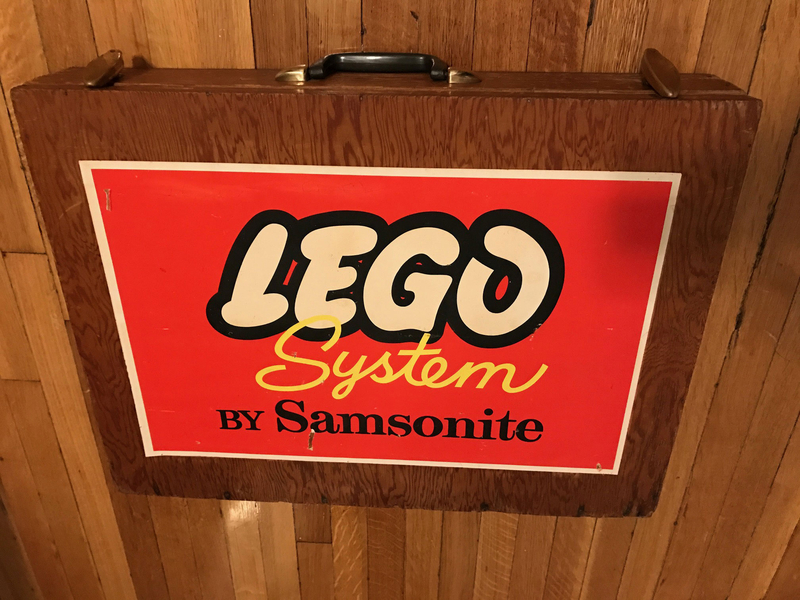 Sometimes Samsonite of Canada did some very strange things with LEGO... the 442 set mixed early (1961-70) unpainted green Samsonite bushes with the 1970-74 granulated trees!! as seen in the previous image. Then in 1973 (when the 930-940 spare parts packs were introduced elsewhere)... the 440-449 Canadian packs had one extra year of production (1973-74). So what was included in these late 442 packs? 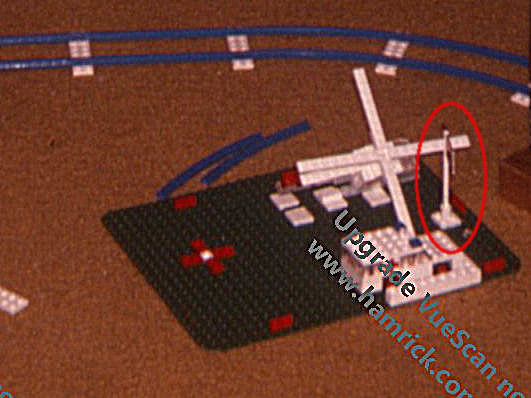 A very odd combination of Canadian and LEGO wavy flags... plus 2 straight white flag poles with a pair of sticker sheets found in the 940 parts pack (only sold in Scandinavia... identical to the 939 pack, except it had a Scandinavian flag sticker sheet). So these unusual (and scarce) Scandinavian flag sticker sheet and 2 straight flags got mixed together in Canada with a pair of earlier wavy flags. LEGO Mayhem pure and simple!! Although the 939 parts pack (with 2 sticker sheets, w/o Canadian flag stickers) was sold in Canada from 1974-79... we have no documentation to show if Canada did like Britain/Ireland/Australia... and included an extra small flag sticker sheet. I haven't seen this to be the case... but the jury is still out on that one. Hello @Istokg and thank you for all the incredibly informative historical posts! I joined Brickset Forum in order to reply to this discussion and a couple of others where you mention the relatively rare straight, stickered Canadian flag. Like @Lego_Moose, we have one of those rectangular Canadian flags and in our case I can be 100% certain it did not come from the 575-1 Coast Guard set, because we never owned that set and never knew anyone who did. I coveted that Coast Guard set mightily as a kid, staring at it in the catalogue photos, but never saw it in the flesh! Moreover, we had a set of rectangular stickered flags, including a Canadian one, in the years before 1978 (when 575 was released). 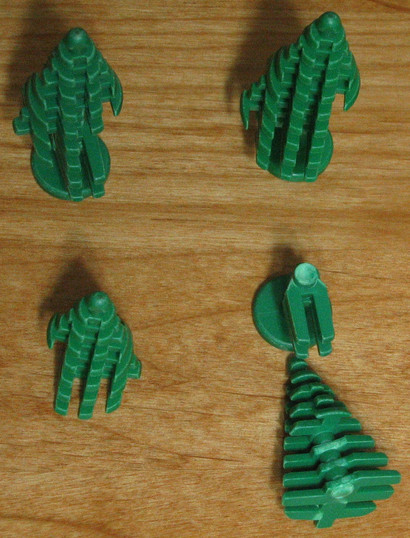 We also had a set of four green trees, and some long-since broken road signs. My dad vaguely recalls buying some parts packs which were, I strongly believe, a pair of 939-1 or 940-1 Canadian packs, from which came our flags, road signs, and conical trees. Now while I don't have a handy unopened 939/940 set or anything like that, what I do have are my father's well-organized family photos from 1975-1977. I've tried to sharpen them up and highlight the key elements. 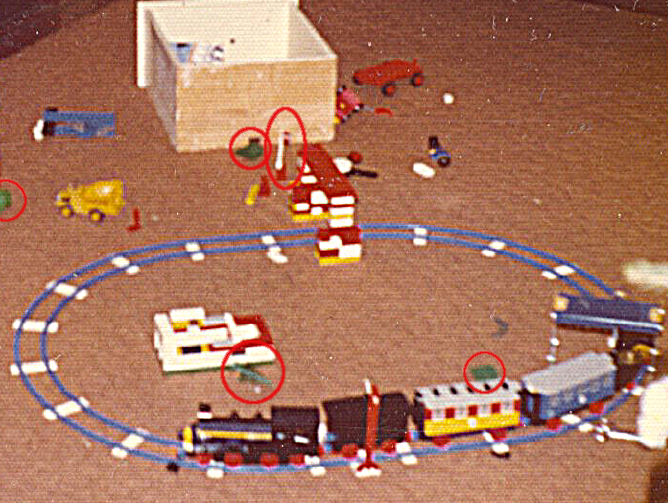 First, from Christmas 1975, we have a photo of my shiny new 182-1 train, and you can see the four green trees and one of the flags (it's the "LEGO" one), so we must already have had our two 939/940 parts packs (or equivalent) by then. 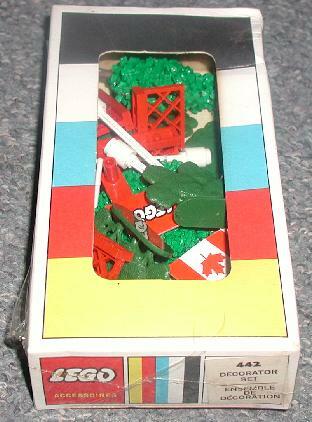 Next, from Canadian Thanksgiving in October 1977, we have three shots of the now-expanded train set that also happen to include different angles on a 1973 "Rescue Units" set 460-1, to which my young self conveniently added the straight, stickered Canadian flag! (Our old cat is also visible. 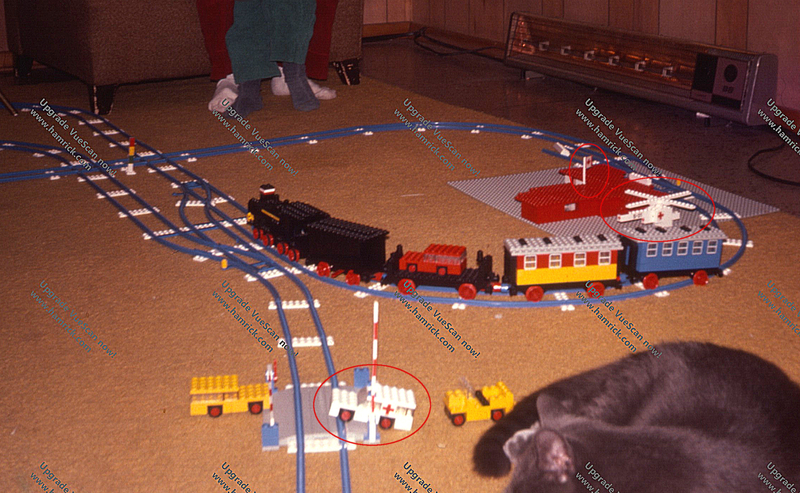 :-) All of this, of course, predates the release of the 575 Coast Guard set. My age and my brother's age in the photos are consistent with the dates in my dad's photo album. Therefore, I'm certain that rectangular stickered Canadian flags were released separately from and prior to the 575 Coast Guard set, and while I can't be certain they came from 939/940 packs, I'm pretty sure that's the case because of the presence and number of the trees, other flags, and signs (although many of the road signs and some of the flags have been destroyed and/or lost, sadly). @cdarroch .... thanks for the great anecdotes!! 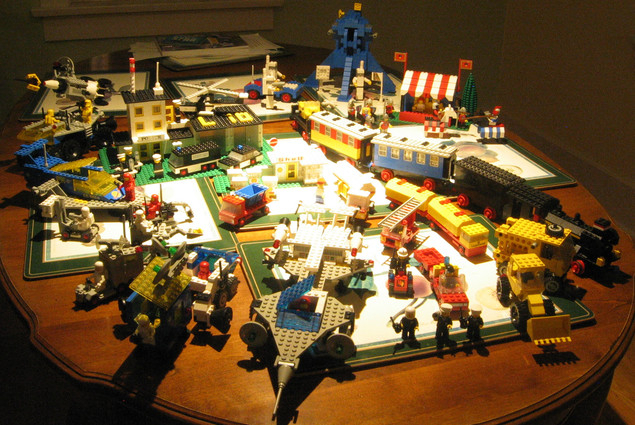 It's stories like these that help fill in the blanks about "LEGO Mayhem"!! P.S. I Photoshopped a faux Canada sheet (as it might look) into the image. 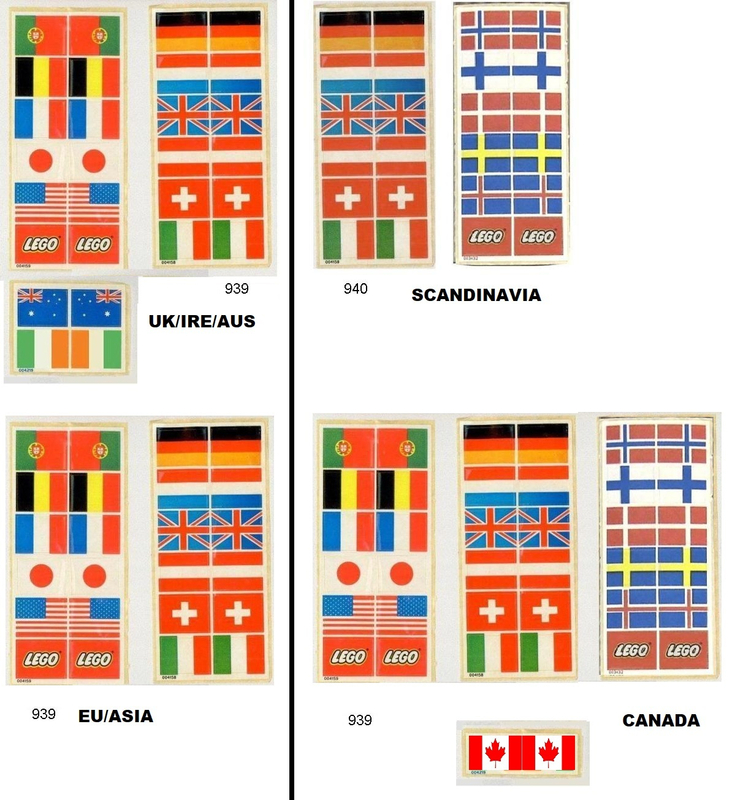 Based on the 7 flags you have... the Canada 939 set (sold there from 1974-79)... would have had 4 flag sheets. Since the Scandinavian flag sheet (mainly found in the 940 pack of 1973-79) was found there earlier in the decade (in the 442 pack)... it would make sense to find some of those leftover flag sheets in the Canadian 939 pack... along with a Canadian flag sheet. 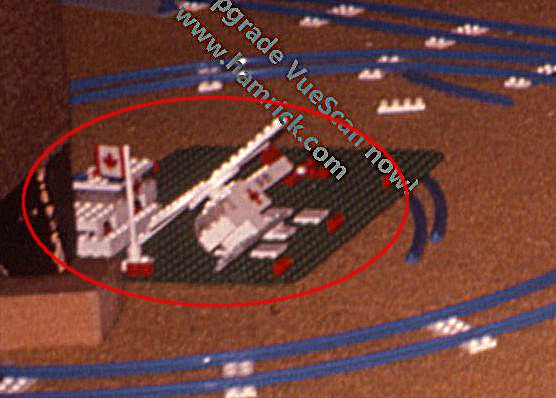 Canada often got leftover or extras from TLG... and this is an interesting discovery! I'm glad the stories and photos proved of some use, @Istokg! We had a good time looking for them, that's for sure. And it was a pleasure to read your response, thank you very much! 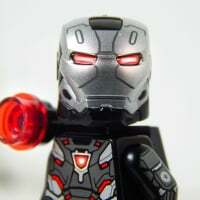 Hi @Istokg, Here is a 750 set. and here is a 449 Baseplate with wrapping. Thank you Istokg for all your hard work researching and documenting Lego sets. That wooden box set is pretty amazing. Yes-love the box set. It is beautiful! Thank you so much!! Merci mille fois!! Don't know if it has been mentioned above, but an easy way to get different country's flags (a sticker on a 2x4 time) is with the Speed Champions set #75912 Porsche 911 GT Finish Line. I believe 8 flag stickers are included, among with enough tiles for all of them. 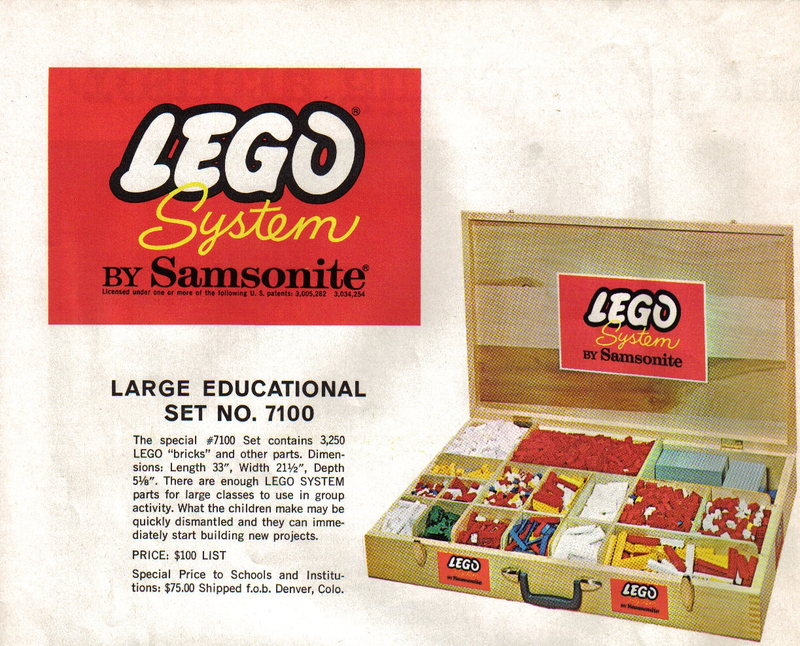 It is hard to believe that there is an ever larger USA/Canada Samsonite LEGO wooden box set than the 750 set... but there was... the 1962-65 7100 set, largest 20th century set ever produced, with 3250 pieces! Thanks for the pic of the 750 set @Samsonite ! Please email me at [email protected] I want to get your name so I can reference you and your images in the new collectors guide. 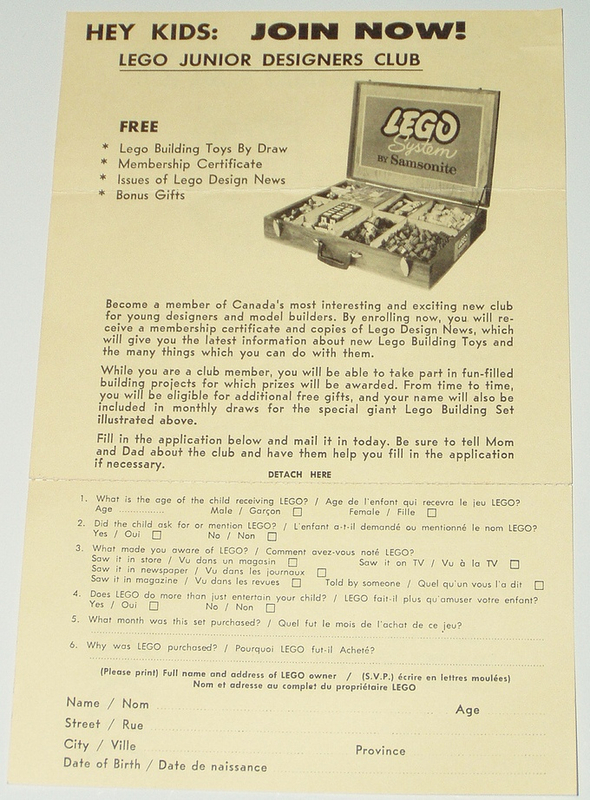 I am also getting together all the Canadian LEGO catalog images for the Brickset database... and I have just a few that I am missing from 1962-1994. Starting in 1995 the Canadian LEGO catalogs merged together with the USA catalogs. Thanks again for your images!